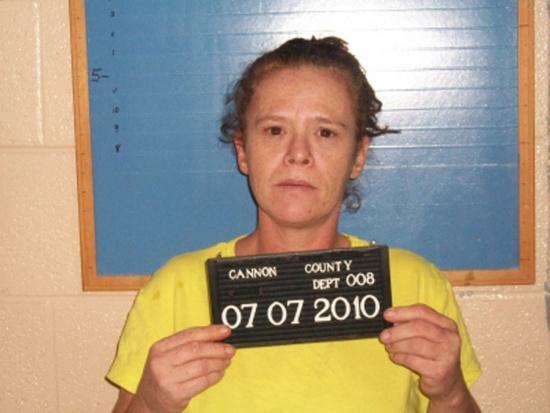 Tammie L. Thompson, 42, 806 South McCrary Street was arrested Wednesday, July 7 by Deputy Eric Moss and Deputy Pat Fann. A sealed indictment was returned against Thompson by the May term of the Grand Jury on charges of Sale of Schedule IV Controlled Substance. Bond was set at $40,000 by Circuit Judge David Bragg. Deputies Moss and Fann arrested Thompson at a residence on Jim Cummings Highway. While searching Ms. Thompson’s purse after the arrest Deputy Moss found some drug paraphernalia and charged her with Possession of Drug Paraphernalia. Thompson will be arraigned on the charges Circuit Judge Don Ash on Friday, August 6. Her Drug Paraphernalia charge will be heard in General Sessions Court before Judge Susan Melton on Tuesday, August 3. Six defendants have been picked up on those indictments with three remaining unserved according to the Cannon County Sheriff’s Department.